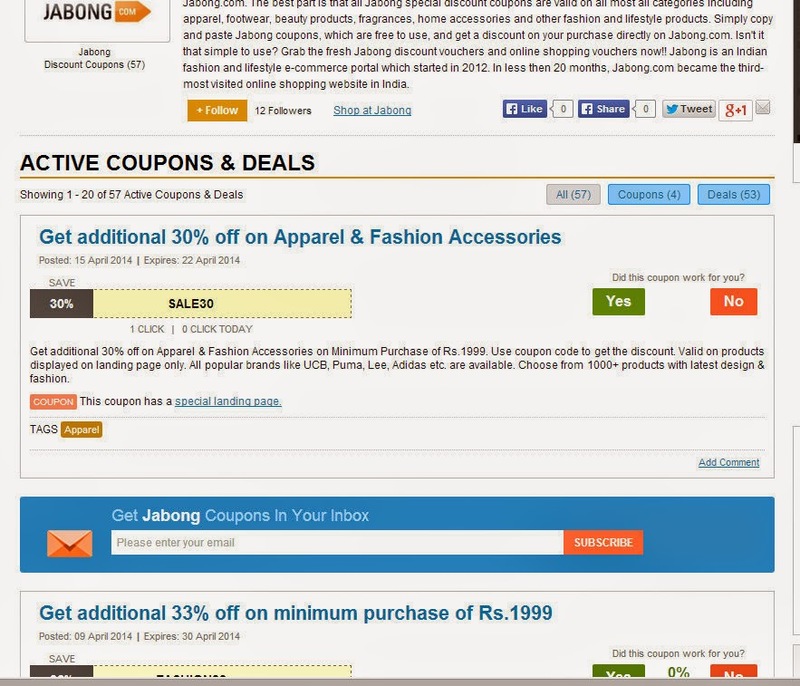 Love shopping online? Here's how you can save money while doing so! Online shopping has become an important part of our lives now, a fact we really can't deny! 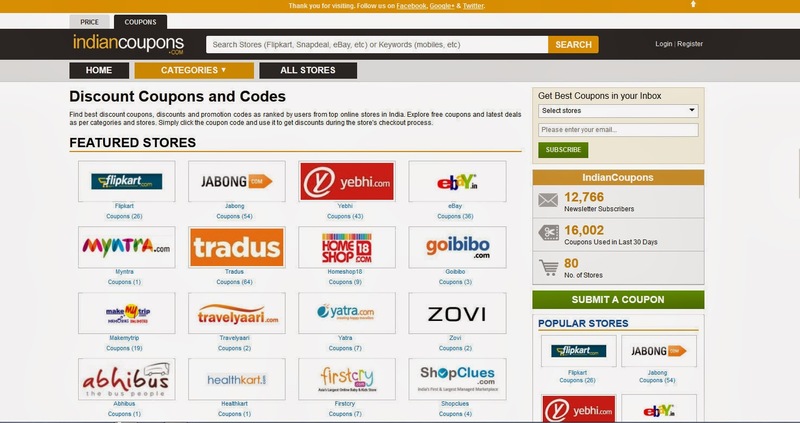 These websites have made our lives pretty easy & one such website that can make online shopping all the more pocket friendly! 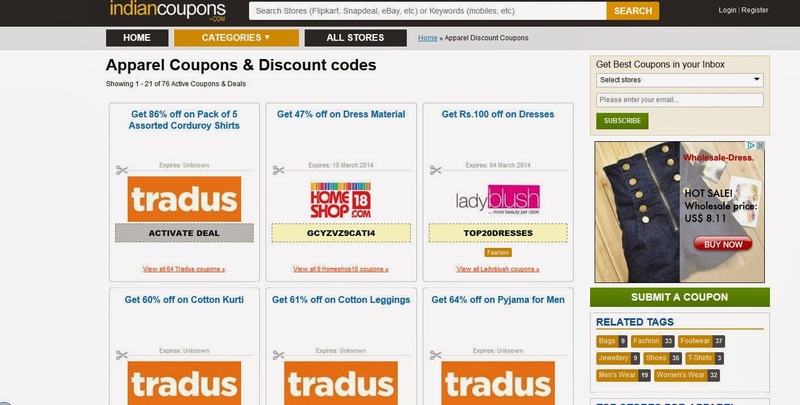 I would like to introduce you all to indiancoupons.com, a place where you can find discount coupons & codes for numerous online stores in India. 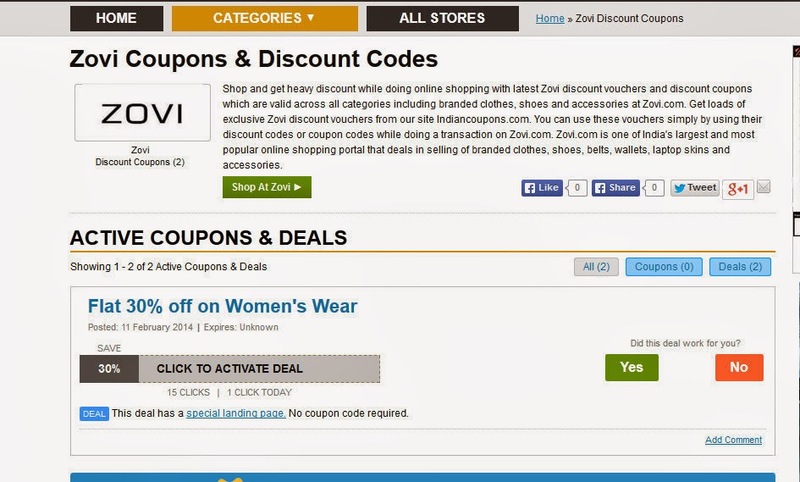 It's very easy to go about getting the coupons, just search for the store from where you want to shop,click on the “CLICK TO ACTIVATE DEAL” and you will be redirected to the desired site where the items under the selected deal will be show! 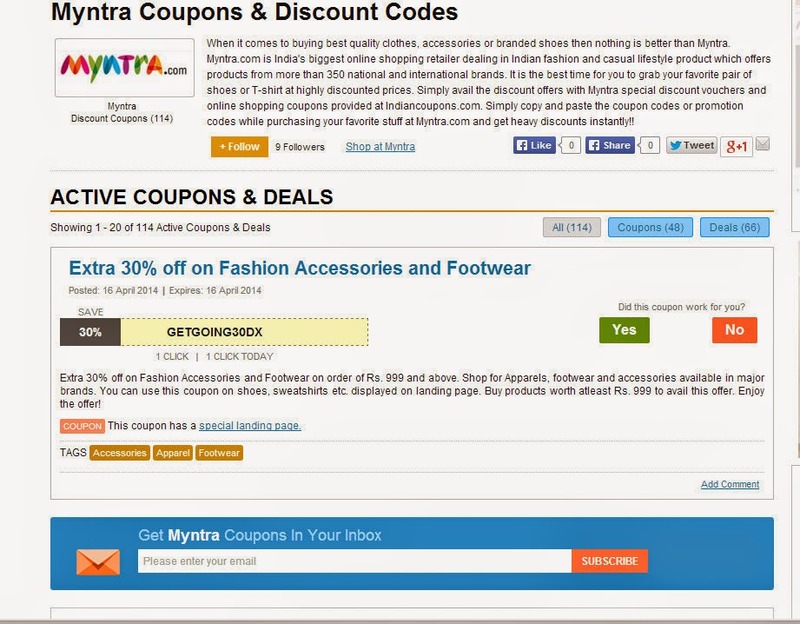 Coupons of a few sites we love shopping from! 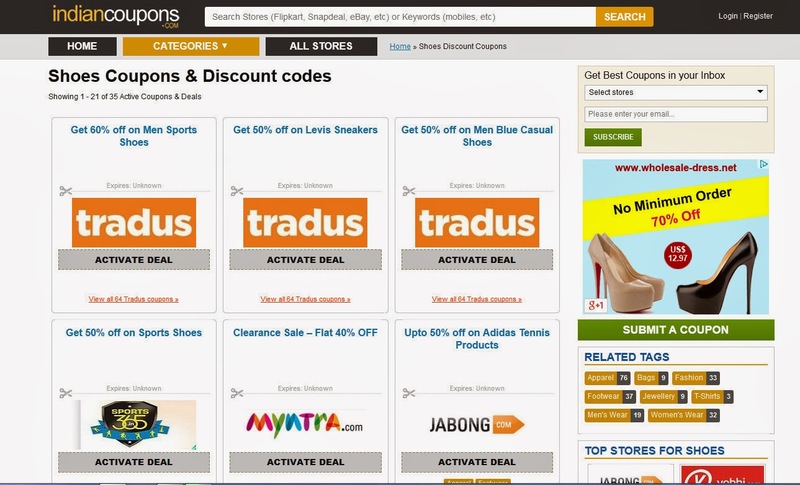 Highly recommended to all the online shoppers throughout India! I'm sure you'll find it useful!